Store: ktcorp2016_3 Condition: Brand New Price: $189.99 Total Price: $189.99 Buy It from ktcorp2016_3 No returns. Store: sol_1_2 Condition: Brand New Price: $176.99 Total Price: $176.99 Buy It from sol_1_2 No returns. Store: lasko189 Condition: Brand New Price: $183.99 Total Price: $183.99 Buy It from lasko189 No returns. New In Box. 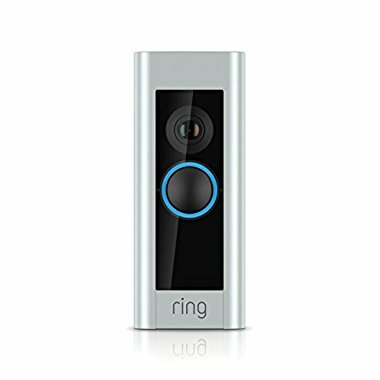 Ring Video Doorbell Pro WiFi 1080P HD Camera. FACTORY SEALED! Store: theopenboxstore Condition: Brand New Price: $188.89 Total Price: $188.89 Buy It from theopenboxstore No returns. Store: mcckwages Condition: Brand New Price: $190.00 Total Price: $190.00 Buy It from mcckwages No returns. Store: goodies4sale82 Condition: Brand New Price: $194.99 Total Price: $194.99 Buy It from goodies4sale82 No returns. 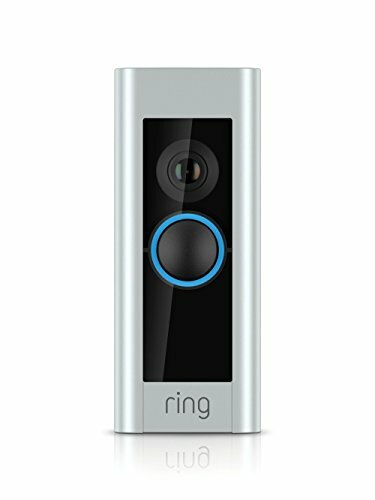 Ring Video Doorbell PRO. Hardwired 1080 HD Camera Night Vision Motion Brand New! Store: KB Networks Inc Condition: Brand New Price: $184.99 Total Price: $184.99 Buy It from KB Networks Inc No returns. Store: gdx04 Condition: Brand New Price: $189.99 Total Price: $189.99 Buy It from gdx04 No returns. Store: roninoki Condition: Brand New Price: $169.99 Total Price: $169.99 Buy It from roninoki No returns.